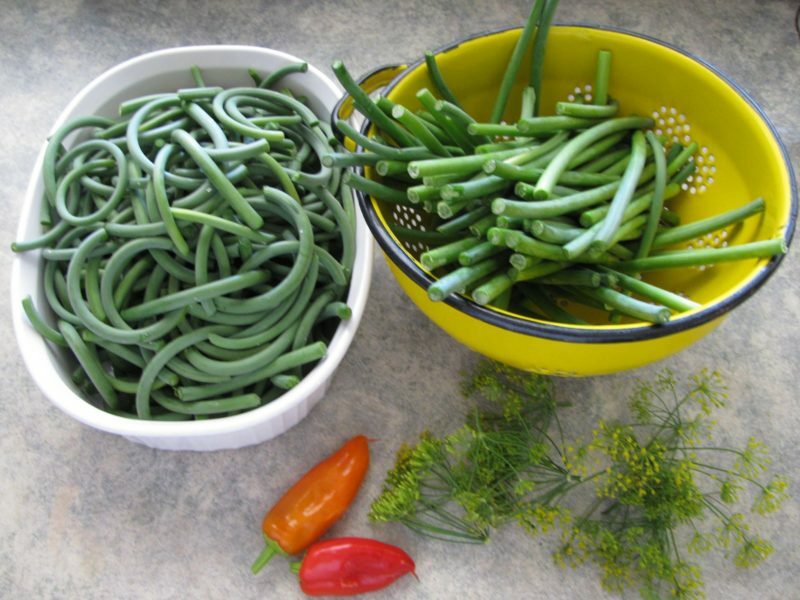 If you aren’t sure what a garlic scape is, you’re not alone. This part of the garlic plant is gaining recognition for use in cooking. Restaurants are using them as edible garnishes for the dining plate. They are beautiful in appearance, with that double curl, white bulbil and tapered end. Simply put, each hardneck garlic plant sends up one scape through the center stalk. Each one needs to be cut off so energy goes underground to the bulb. 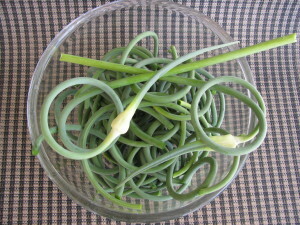 These delicious and healthy scapes let us enjoy an early fresh taste of garlic goodness! Here are a few ways to use them. Trim the scapes. You can process only the straight portion of the scape or the whole thing. Combine salt, vinegar and water in a large saucepot. Bring to a boil. 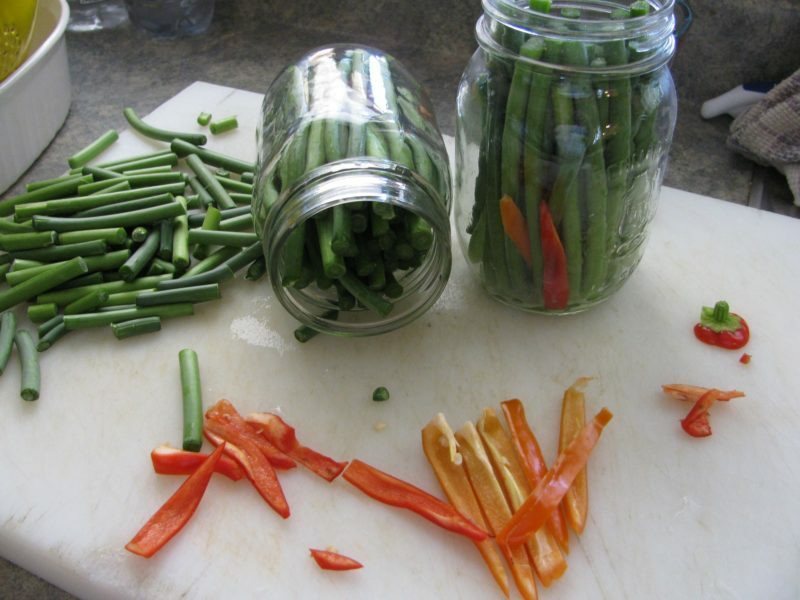 Pack the garlic scapes into hot jars, leaving 1/4″ headspace. Add 1/4 tsp cayenne pepper and 1 head of dill to each pint. Ladle hot liquid over the scapes, leaving 1/4″ headspace. Remove the air bubbles. Process pints or quarts 10 minutes in a boiling water bath canner.